More about iittala Toikka Valkyrie The Valkyrie sure makes a statement. 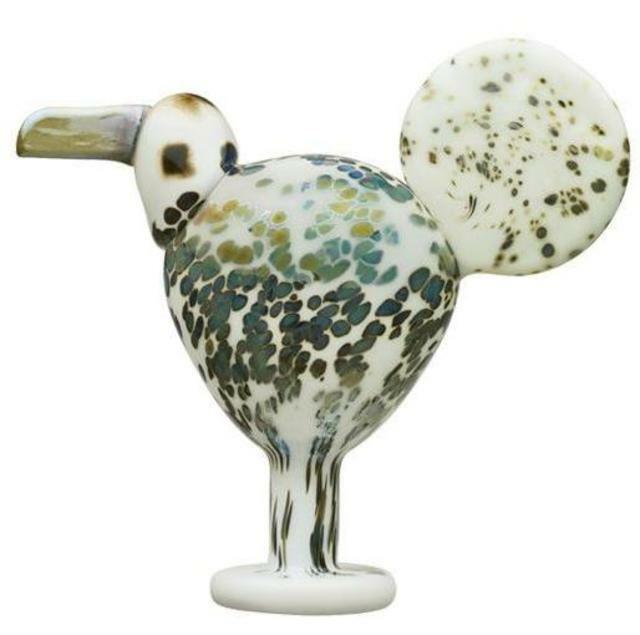 This limited edition bird stands tall among the glass birds collection. Green speckles cover the white body like lily pads sitting on the water. The large tail fans out with smaller speckles covering as well.